This charming 3, bedroom 2 full bath ranch has been lovingly cared for and abounds with updates. New hardwood/laminate flooring througout the entire first floor. The living room features neutral colors and a welcoming fireplace. A spacious eat-in-kitchen offers plenty of cabinet and counter space, new appliances and ceramic tile flooring. The first floor bath features a dual vanity and a ''classic'' decor. All of the bedrooms are good size with the third bedroom currently being used as a large walk-in closet. The basement offers a huge family room with a second fireplace and full bath. The one car garage could easily be converted into an extra room. New furnace and windows throughout all in 2012. Large fenced in yard and extra shed for storage. Ruhl Acres is a subdivision within the city of Shepherdsville, Kentucky. There are currently 1 Homes for Sale within Ruhl Acres, with asking prices ranging from $195,000 to $195,000. The average list price per square foot of the available inventory in Ruhl Acres is $143, which is above the Shepherdsville average of $139. The Average Sales price of all sold real estate in this subdivision for the past year is $165,917. Recent comparable homes have been selling for 100.43% of their asking price. Waterfront homes represent 0.00% of the available Ruhl Acres inventory. The total number of households in the zip code of Ruhl Acres is 12,085, with an average household size for of 2.69 people. The total number of renter households within the zip code of 40165 is 2,560, which means that 78.82% of households in this zipcode are owner occupant households. 661 Meadowbrook Dr, Shepherdsville KY 40165 is a Home, with 3 bedrooms which is recently sold, it has 1,913 sqft, 100X180 sized lot, and 1 Car Garage,Attached parking. A comparable Home, has 4 bedrooms and 1.5 baths, it was built in and is located at 167 Springbrook Dr Shepherdsville KY 40165 and for sale by its owner at $ 195,000. 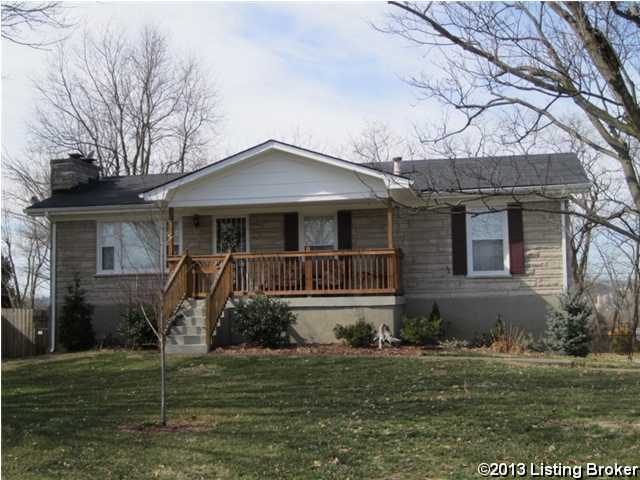 This home is located in the city of Shepherdsville , in zip code 40165, this Bullitt County Home, it is in the RUHL ACRES Subdivision, and HEBRON ESTATES are nearby neighborhoods.